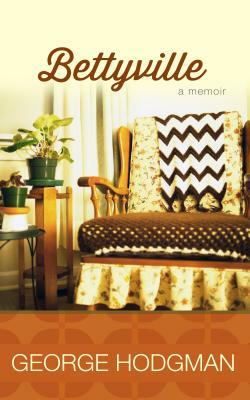 "A beautifully crafted memoir, rich with humor and wisdom." --Will Schwalbe, author of "The End of Your Life Book Club"
"The idea of a cultured gay man leaving New York City to care for his aging mother in Paris, Missouri, is already funny, and George Hodgman reaps that humor with great charm. But then he plunges deep, examining the warm yet fraught relationship between mother and son with profound insight and understanding." --Alison Bechdel, author of "Fun Home"
When George Hodgman leaves Manhattan for his hometown of Paris, Missouri, he finds himself--an unlikely caretaker and near-lethal cook--in a head-on collision with his aging mother, Betty, a woman of wit and will. Will George lure her into assisted living? When hell freezes over. He can't bring himself to force her from the home both treasure--the place where his father's voice lingers, the scene of shared jokes, skirmishes, and, behind the dusty antiques, a rarely acknowledged conflict: Betty, who speaks her mind but cannot quite reveal her heart, has never really accepted the fact that her son is gay. As these two unforgettable characters try to bring their different worlds together, Hodgman reveals the challenges of Betty's life and his own struggle for self-respect, moving readers from their small town--crumbling but still colorful--to the star-studded corridors of Vanity Fair. Evocative of "The End of Your Life Book Club "and "The Tender Bar," Hodgman's "New York Times" bestselling debut is both an indelible portrait of a family and an exquisitely told tale of a prodigal son's return. GEORGE HODGMAN is a veteran magazine and book editor who has worked at Simon & Schuster, "Vanity Fair," and "Talk "magazine. His writing has appeared in "Entertainment Weekly," "Interview," "W," and "Harper's Bazaar," among other publications. He lives in New York City and Paris, Missouri.